It was in many ways one of the most surprising turn of events in the football landscape of 2018. At the start of the year Stephen Rochford was plotting Dublin’s downfall as Mayo began yet another quest to land Sam Maguire. By June, they were dumped out of the qualifiers in a memorable clash in Newbridge, where amazingly, the drama on the pitch matched the controversial build-up. Four months later and the Mayo native was added to Declan Bonner’s backroom team in Donegal. Certainly an unforseen sequence of events, but the Ulster county are reaping the benefits of having the meticulous coach in their ranks. "I've been very impressed," All Star defender Eoghan Bán Gallagher told RTÉ Sport. "Coming from Connacht and Mayo and managing Corofin, they play a wee bit more of a so-called attacking style than Donegal. "He brings a different aspect because in Donegal we normally only have coaches from Donegal and Ulster and that." 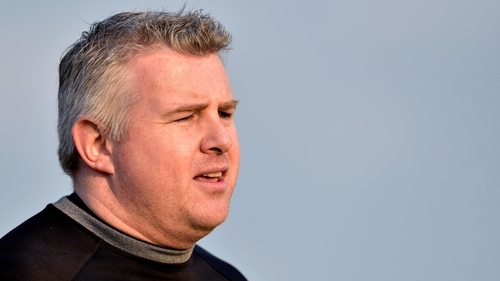 An outside perspective, as far as he is concerned, is just what is required as Bonner’s men look to regain their Division 1 football status, retain their provincial title and make further inroads at the business end of the season. "He brings a different style and a different way of looking at football, which can only benefit Donegal. "He was close to beating Dublin three times and is coming with new ideas and I'm sure him and Declan and the rest of the backroom team are in harmony discussing the best way to go about playing. He is quick to dismiss any undermining of Bonner’s position with such a high-profile name beside him on the sideline. "Declan is a Donegal man and all he wants is for Donegal to do well. He's not in it for his personal gain. "He thought Stephen was a good person to bring in to improve Donegal football and decided to go with that decision." Gallagher will also be representing UUJ in the Sigerson Cup this year as he studies a Masters in Accountancy, with Tyrone’s Michael McKernan and Mayo’s Paddy Durcan among his team-mates. The inter-county rivalries have been put aside with FIFA (the video game variety) competitions dominating the household, while Donegal duties have been alleviated for a week with exams in progress. "Declan is very understanding. I think from my own personal perspective I want to go back to Donegal training because you don't want to miss out on anything. "College only trains on a Monday and Wednesday and Tuesday and Thursday would normally be the days for training with Donegal. With the McKenna Cup it has changed about a wee bit. "I've discussed it with him and if you're honest with him he's reasonable and he'll balance it out." In spite of relegation in the League, there were plenty of green shoots in Bonner’s first year back at the helm, including a first Ulster crown in four years. Defeats to Dublin and Tyrone put paid to All-Ireland semi-final ambitions however, and Gallagher concedes that something has to give if Jim Gavin’s quest for five-in-a-row. "They're probably the best in every aspect of the game, between defending, attacking, kickouts - they are the benchmark. They're still a wee bit of a gap there between themselves and everybody else. Then you probably have a chasing pack of about eight teams who are close but not quite at their level." 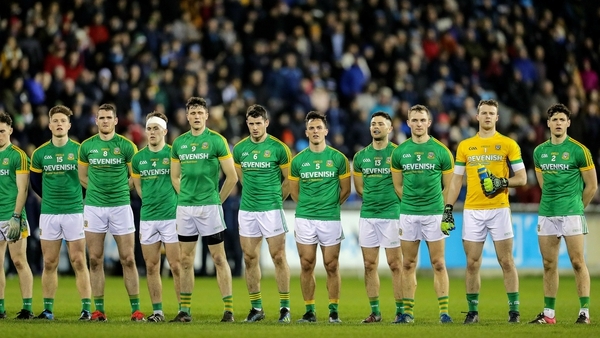 "Hopefully it's us going up and beating them when they're still at their peak"
Can Donegal be the team to bridge that gap? "Honestly, you would like to think that you can, whether it be Dublin maybe coming down or us going up. Hopefully, it's us going up and beating them when they're still at their peak, but you have to go in with belief. "Jim McGuinness said a few years ago that whatever game of football you're playing, you've the same chance as the other team of winning. We have to have the belief that no matter what team you're going out to play that you've a chance of beating them."